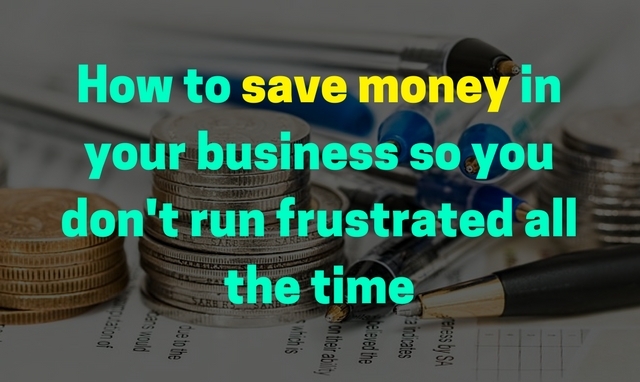 How to save money in a business? I bet you have asked this question at least once to yourself, if you are a business owner. Starting up a business on your own can involve a lot of time, money and passion. If one’s talking about starting up a business on their own, be assured that the costs can range from rent, accommodation, utility bills, salaries and insurance. Self-sufficiency is the key to surviving the big, bad world as entrepreneurs and business people can no longer depend on banks and investors. Customers can be equally demanding to deal with as payment might be difficult to come by. The good news is that business can also be quite affordable if you know the right tricks. Therefore, no matter what size business you are in, here are the best ways to save money and earn profits all the same. Many businesses start off as work-from-home expenditures, and they can be quite successful. Home businesses are cost-effective if you’re saving money as you don’t need to account for infrastructure, workforce and rent. Moreover, use your network that includes family, friends and relatives and look for the best talent available out there. Costly recruitment firms can cost millions, so it’s better to go small for your major expenditures. Business websites usually advise you to look for the best equipment and resources. However, if you want one of the best ways to save money – look for the necessary stuff. For example, get office equipment at Dell, Misco, Euro PC and ITC Sales. Replace a fancy office post code; get cheaper choices at an email forwarding service. Look for cheap stationary, printing paper and printer on websites like Staples and Viking Direct. Get good-quality and cheap business cards on Moo and Vistaprint. You have cheap and attractive domain names on GoDaddy, and construct your website from scratch on WordPress, Basekit or SquareSpace. Make sure that website looks attractive and professional. Making a breakthrough in the business world can get easier and less expensive with EBay and PayPal, which offer business services and allow you to sell your merchandise easily and at a good price. Go for affordable online accountancy services such as QuickBooks, Clear Books and Kashflow. A money saving tip would be to go online for discounts and training resources by using appropriate websites. One of the best ways to save money is to find out more about your customers and the current competition rates, take the help of services like Duedil. You need to be assured of a sincere and well-paid workforce before you can actually get started. As previously mentioned, using your contacts from your university, college, student websites and internship sites can be a help. Go social with your idea on Facebook and Twitter. Talk to those who are interested to work with you, and attract your customers. For a talented and dedicated workforce, you need to compete against large organizations and firms who offer healthcare services, paid leaves and bonuses. Instead, provide your staff with opportunities for career development. To have a happy staff, allow flexible working hours and trust them to work on their projects, especially if you work in the digital sector. Allowing your staff to be creative and appreciating their efforts would happily overlook the moderate salary, and can be one of the best ways to save money. Normally, people spend millions on advertising. How to save money when you go for advertising? If you want to go for the best ways to save money yet get your job done, start by advertising on LinkedIn. Some websites also offer free Google Ad Words vouchers that help you promote your website by tracking website traffic and other statistics. Go for customer and content management systems rather creating your own. Use Skype or similar services for conferences, interviews, instant messaging and international calls. All of these are well-known money saving tips. When you need to communicate with your customers, use iContact or Mail Chimp, both of which are cost-effective email services. Make sure that customers adhere to their 30-day payment period without damaging client relationships. Experts recommend having a contract with the customers beforehand about overdue payments. Small businesses should stand by their rules so that large companies pay their SMEs to avoid penalty. Therefore, to run a successful business, you need talent, hard work, sincerity, vision, planning and some money. With these cost-effective techniques in mind, one can become quite a pro in entrepreneurship. Therefore, look out for your opportunities and enjoy the fruits of your dream business.